The now famous recreational mathematical problem about the rabbits first appeared in the book, Liber Abaci or Book of Calculation, written in 1202 by Leonardo da Pisa, also known as Fibonacci. The problem solution, the Fibonacci number series is a sequence of numbers where the sum of any two consecutive numbers is equal to the number that follows it. Beginning with the number 1, the Fibonacci sequence numbers are: 1, 2, 3, 5, 8, 13, 21, 34, 55, 89, 144, 233, 377, 610 and continues on in this way infinitely. After the fortieth number in the Fibonacci sequence, the number for the ratio of phi is accurate to the fifteenth decimal place. Known as nature's perfect number, 1.618 or phi is the number of the Golden Ratio, which is the ratio that exists between two quantities and their relationship to one another. No one knows for certain when the actual mathematical discovery of Phi took place. It is known that it was used by the ancient people such as the Egyptians in the building of the pyramids and the Greeks in the building of the Parthenon. As shown in the ancient Chinese text the Zhouyi, the early Chinese people recognized nature's patterns and wrote down their findings. Zhouyi is the name for the Yijing, also called the Book of Change or I Ching, before the Han Dynasty. In the famous oracle, people recorded the conditions of the universe and the conditions that they experienced. 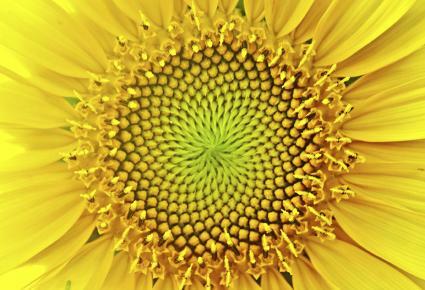 The Golden Ratio and the Fibonacci number sequence are important concepts to the practice of feng shui since it relates to the delicate balance of the elements and the harmony that must exist between human life and the environment. They also bring to light the importance of focusing on the perception of perfection in the shape of objects used in living spaces and how these must also provide a natural balance of the universal energy of life.